Recycling computers in Florida: The invention of the personal computer in the 1980’s has resulted in more homes having one or more computers. Over the last two decades consumer electronics has been on an increase and its use is not expected to decline anytime soon. The way we get our information and our entertainment has changed. The speed with which we communicate and send data like pictures and sound files has increased exponentially. The reliance of Americans on electronics can be seen in the figures that Consumer Electronics Association (CEA) has found out. CEA says that there is an average of 24 electronic products per household in the United States. The U.S. Environmental Protection Agency (EPA) has figures estimating that more than two million tons of old electronics appliances are being thrown away each year. Between 2000 and 2007 about 500 million personal computers became obsolete and were discarded. The bulk of this refuse entered the municipal solid waste stream. If the estimated 128 million discarded cell phones are also included to this amount of waste then you have a sizeable waste disposal problem because these kinds of refuse contain a mixture of hazardous and toxic chemicals including lead, mercury and chemicals that release dioxins if burned. Some of these can leach into the groundwater and others may be released into the air wreaking havoc on the environment. The EPA is currently on a campaign to educate consumers on the importance of recycling and reusing old electronics and other options consumers have in safe use and recycling of these products. Recycling Computers in Florida / What Are Your Options? Here are the steps you can take in disposing of your old computer safely. Establish whether your computer is usable. If your computer is less than five years old it may still be of usable by someone else. Sending your old computer to a business that refurbishes old equipment is often the best way to donate it. This is often better than donating directly to schools or charities especially if you need to wipe your hard drive for personal information stored within your computer. Old and broken hardware should be recycled. Equipment that is broken or that is more than five years old should be assigned for recycling or responsible destruction. These items should be sent to a computer recycler whose task it is to salvage useful parts before destroying what is left, making sure that hazardous materials and chemicals are removed in the process. Include the accessories and peripherals. If they are still available include the mouse, keyboard, modem, printer, and other equipment that you use with your computer. Schools and other non-profit organizations can often put them to good use. Keep the operating system intact. A pre-installed Microsoft operating system has a valid license only when used with the machine on which it was originally installed. Schools and charitable institutions may not be able to afford to purchase and license new operating systems. 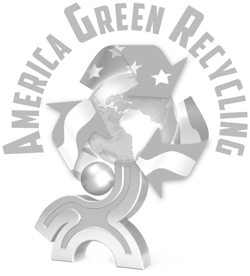 Then call and schedule a pick up at America Green Recycling!